General Banking provides the foundation of banker-customer relationship. This is an era of keen competition among Banks. It is the most important and preliminary work of a bank. The regular service given to customers such as Depositing or drawing money, selling of instruments to them for remittance purpose, collection of instruments, providing other ancillary services to keep customer section busy. Personnel’s of this section should posses the required behavior for regular satisfaction of the customers. “Various Aspects of Service Provided by First Security bank Limited Dilkusha Branch”, is my assign project. So, I worked in the Account opening, Remittance, Advance, Foreign exchange and Accounts Division, side by side I learn other Banking operation. Lending is the core function of commercial bank. For a bank, good loans or credit or advances are most profitable assets. The largest portion of operating income is derived from lending. A commercial bank usually wins over its competitors only on the quality and quantity of lending. It is therefore, indispensable for a bank to have a well thought policy for executing its lending operation. Foreign trades refer to the trade between the different sovereigns nations of countries. Foreign trade mainly categorizes into export trade and import trade. For development of the economy in a country foreign trade is important. Financial institutions like bank can help the foreign trade of a country through financial accommodation to the foreign trade. The performance of the First Security Bank Limited as whole is said to be quite standard. Bank plays an important role in the business sectors and in the industrialization of a country. Basically the banks take deposits from the customers against interest and lend it to the borrowers against interest for a cessation period. Under these circumstances of banks offers different interest rates and other options to the customers to remit and deposit their money. These options are very common among the entire bank, but only the customer services and other facilities very from bank to bank. In our country there are Govt. Banks, Semi-Govt. Banks, Private sector commercial bank of Bangladesh and also it is the third generation private bank in Bangladesh. It started its crucial moment/juncture when Bangladesh economy was undergoing through massive economy reforms and pursuing unilateral and multilateral trade liberalization with the backdrop of the World Bank made international monitory fund recommendations. This FSBL with its ten branches in strategize locations of the country is providing the bet quality services to the customers and clients. Dilkusha branch is the principle branch of the FSBL. There are 43 employees working in the FSBL of Dilkusha branch, Mr. Feroz (EVP), is the head of the branch. They follows on principal, narrow span of management as a result of which the management can put directly care on all the departments. During my twelve weeks internship from August15th to November 15th 2003, in the Dilkusha branch of FSBL. The experiences I have are all compiled in making repost. As a part of the B.B.A. course requirement, I was placed at Dilkusha branch of FSBL. During the period of August15th to November 15th 2003 as on internee by the East West University (EWU). At the Dilkusha branch of FSBL, my supervisor was Lt Col ATM Khairul Alam(Retd. ), director, student Affairs; EastWestUniversity authorized me to prepare this report as part of the fulfillment of internship requirement. Knowledge and learning become perfect when it is associated with theory and practice. Theoretical knowledge gets its perfection with practical application. As our educational system predominantly text based, inclusion practical orientation program, as an academic component is as exception to the norm. As the parties; educational institution and the organization substantially benefit from such a program, it seems a “win-win situation”. It establishes contracts and networking contracts. Contracts may help to get a job. That is, students can train and prepare themselves for the job market. A poor country like Bangladesh has an overwhelming number of unemployed education graduates. As they have no internship experience they have not been able to gain normal professional experience or establish networking system, which is important in getting a job. So practical orientation is a positive development in professional area. Recognizing the importance of practical experience, School of Management and Business Administration has introduced a three months practical exposure as a part of the curriculum of Master of Business Administration program. In such state of affairs the present aiming at analyzing the experience of practical orientation related to General Banking activities in the First Security Bank Limited, Dilkusha Branch. To know about the general banking. To know about loans and advances. To know about Foreign Exchange. To analyze the performance of Dilkusha branch. The scope of the organizational part covers the organizational structure, background, objective, function and department and business performance of FSBL as a whole. The main part covers the operational scenario of credit, foreign exchange, remittance of Dilkusha branch. This refers that how the bank help the customers in exporting and importing the goods, providing loans, and how it remits the money of the foreign clients, etc. all are in the project part of the report. The data collection method of study consists of both of primary and secondary sources. But majority of the information was collected from secondary courses. Primary sources: The primary sources include interviewed with the bankers and my work experience. Secondary sources: The secondary sources are the annual reports of the FSBL 2000-2001 and other published prospects. Different books and periodicals on banking. There were several constraints while preparing this report; only 12 weeks were not sufficient to visit all the desks of the branch. So some desks were remained unvisited. Moreover, some officers in some desks were found non-cooperative. Such desks were remained unexposed. The branch also refuses to provide data on its performance, especially in loans and advances. It is also not possible to go to the dept of each activities of branch because of time limitation. Therefore, it was very difficult to carry out the whole analysis. In the wake of the new millennium the world economic scenario is fast changing giving rise to various avenues and opportunities as well as the accompanying risks. There are so many avenues for growth, which is the past neither, had to confront with such huge prospects of technological breakthrough and environmental hazards not were there conflicts of such proportions between the ideas of national sovereignty and globalization. As globalization means grater freedom and prosperity, each and every country is in the process of converging incomes and standard of living driver by large international flow of goods and services to bring about shared prosperity. It is also envisaged that globalization would extricate the poor and backward nations of the developing would out of the economic morass and put them on the fast track of progress as well as rationalize their level and growth. In a country like Bangladesh globalization has more to do with foreign investment and capital flow that an equitable international trade. The international flow has continued to favor rich countries where as it would have been in the event the case was reversed. Bangladesh is participating in the process of integration of her economy into the global one by opening up to international markets and harnessing foreign investment and trade. The developing countries have seen little profit from the recent boom in international financial flows and are suffering great deal from major cuts due to re-allocation in aid flows from advanced and donor countries. In the concept of privatization the state has a smaller role to play and as such the focus is mainly on the market. During the last century, the state and market went hard in hand and functioned to tandem. Due to globalization the concept of market has undergone rapid changes and is well beyond the geographical boundaries of countries. Although we have entered a new millennium nobody expects there will be any sudden breakthrough in the economy as it is a continuous process. The economic development of a country requires the use of capital through a sound banking system to provide the necessary finance to various development agencies which have not developed up to expectation due to constrains common to the economy of a third world country. The macro economic development during the year 2001-2002 was marked by a healthy GDP growth and moderate inflation. For the second year running bumper rice harvest maintained growth at above 5% and GDP growth during the FY 2000 was at 5.7% which may be considered as the highest since the beginning of the 1990’s. Conversely the growth performance in industry was sluggish with manufacturing growth of 3.3% being one of the lowest rates in recent years. Several adverse factors contributed to this situation, which included disruption in the supply of natural gas, which in turn affected the power supply and production activities. Furthermore, labor disputes during the second quarter of the year badly affected the operation of Chittagong port. In the services sector, growth in transportation, storage and communication contributed to about 13% to the total GDP but growth in trade sector was sluggish due to lower import growth. During the year some positive initiative were take in the banking sector with improvements in the legal and regulatory environment to improve loan recovery but unfortunately the high quantum of non performing assets and under capitalization continued to plague the entire the entire banking sector thus causing a major threat to the macro economic stability. The size of classified loans increased substantially which contributed to lower profitability of the Banks. Investment rate in FY’02 showed some increase and the declining trend in private savings was substantially reserved. The national saving rate increased from 11.9% of GDP in FY’01 to 14.6% in FY’02. This was partly due to increased inward remittances, increase in nominal interest rates and lower rate of inflation. Monetary policy in FY’02 continued to accommodate the borrowing needs of the government. Broad money increased from 8.3% to 11% in FY’02. Current expenditure exceeded the budgetary target by 3.6% due to higher interest payment on domestic public debts, food grain procurements, defense spending and other subsidies allowed by the government as a result of which the current expenditure-GDP ration increased from 8.7% to 8.9% in FY’02. On the revenue side there was a 5% shortfall in revenue collection, which was mainly due to low import growth and progressive weakness in the collection of VAT and income taxes. The emergence of FSBL at the juncture of liberalization of global economic activities after the Uruguay Round has bee an important event in the financial sector of Bangladesh. The experience of the prosperous economic of the Asian countries and in particular of South Asia has been the driving force and the strategic operational policy of the bank. The company philosophy “A bank with Vision” has been precisely the essence of the legend of Asian success. FSBL has been licensed by the government of Bangladesh as a schedule bank in the private sector in presence of the policy of liberation of banking and financial services in Bangladesh. The bank was incorporated as a public limited company on August 12, 1999 under the company’s act 1994 and the commencement banking operation effectively from October 25, 1999. During this short span of time the bank had position itself a progressive and dynamic financial institution in the country. The sponsor and Director of the bank are a successful group of prominent local and non-resident Bangladeshi investor who has earned high credentials and excellent reputation in their respective fields of business at home and abroad. FSBL’S main business mission is to obtain a sustainable position in the banking sector of Bangladesh as well as internationally. To maintain a satisfactory deposit mix. To grow its credit extension service to the commercial as well as industrial sector. To increase its diversification of loans portfolio and geographical coverage. To curb present operating expenses further to increase earning before tax. To reduce the burden of non-performing assets. To provide standard financial services. 163, Sk. Mujib Road, Agrabad C/A, Chittagong. 142, Chand Meah Lane, Khatunganj, Chittagong. Rifles Square, BDR H.Q., Rangpur. Aziz Super Market, Station Road, Rangpur. The authorized capital of the bank is Tk.1000 million and the paid up capital of the bank is Tk.200.00 million. The authorized capital is divided into 1000 shares of Tk.100 each. The Bank raised it’s reserved from Tk.0.202 million to Tk.10.88 million which is quite Significant, compared to the position of the previous year. The statutory reserve fund stood at Tk.1,03,52,000 as 30th June 2002. It kept 1% as General Provision for unclassified loans. In an effort to secure more stable and predictable earning from its investment, the Bank focus its attention on investment of the Bank as on 31st December 2002 stood at Tk.340.40 million against Tk.150.40 in 2000 showing an increase of 126%. As on June 30, 2003 the total deposit of the Bank was Tk.4,87,97,000, which includes bills payable. There is 68% increase than that of last year. The bank mobilized total deposit of Tk.5230 million as on December 31, 2003 as against total deposit of Tk.3080 of preceding year. The rate of increase is 70%. Competitive interest rate & deposit mobilization efforts of the Bank contributed to a notable growth in deposit. The deposit schemes of the bank attracted a large member of small and medium savers in the country. By the year 2002 deposit under the schemes stood at Tk.134.60 million. Efforts are being made to broaden the deposit base while reducing the average cost of funds. The advance portfolio of the bank is well diversified and broad based covering various sector of the economy. The credit facilities were extended to the private sector for trade, project finance as well as to meet working capital finances. The total loans and advances of the Bank stood at Tk.4102 million as on December 31, 2003 compared to Tk.2540 million as in December 2002 registering an increase of 61%. The corporate finance operations also performed well through out the year and a large number of deals were conducted. The work of adapting to new market condition is continuing. FSBL handled Tk.3916.11 million in import during the year 2002 compared to Tk.6931.37 in the year 2001 and it increases by 20.09%. The Bank has established 699 letters of credit amounting to US$17.20 million during the year 2002. The growth rate is 63% in this sector. The main items of import of import were industrial raw materials, consumer goods, and machinery fabrics and accessories ete. The Bank handled 545 nos. of Export Bills amounting to US$ 16.64 million a of November 30th, 2002 as against Export Bills amounting to US$ 12.35 million during the preceding year. The growth rate is 30% in this sector. Export items handled by the Bank include Jute goods, readymade garments, leather and leather goods etc. export is one of the major earning sectors of FSBL and the bank intends to concentrate more in this area of business in the upcoming years. FSBL since inception, integrated treasury dealing of local money and foreign currency operations by handling a significant value of treasury transaction. The operating profit of the bank increases from 40 million to 50 million during the year 2002 compared to the previous year. It shows 28.4% increase. Foreign Remittance handled by the bank stood at Tk.200.25 million as of December 31, 2002, Country from which inward foreign remittance were received included UAS, UK, Canada, Japan, Taiwan, KSA etc. Computer department is a very important department of a bank. The information of all accounts and daily transactions are recorded in the computer. All the Branches of FSBL use PC bank software for General banking, Amort Software for loan processing and loan amortization. As the Credit information Bureau of Bangladesh Bank becomes strict in loan recovery, Bangladesh Bank has introduced new software for tracking the information creditors of the Bank. The Bank has become a member of SWIFT (Society for Worldwide Inter Bank Financial Telecommunication) in 2001, which provide fast, secured and accurate communication network for financial transaction such as letter of credit, fund transfer. The Bank signed as agreement with American International (BD) Ltd. for introducing “First Security Bank Ready Cash Card”. By using this Card the customers are able to deposit or withdraw from any branch of FSBL, Janata Bank and Sonali Bank. The Card holders are also be able to pay telephone, water, electricity and gas Bills without standing in a long queue in Bank and purchase every item from 300 selected famous retail shops by using Card instead of Cash. The banking performance prepares by Bangladesh Bank as on 31st December 2002. The total deposit of FSBL was 82 crore taka. It shows a tremendous performance of fund management of FSBL. Being a forward-looking bank, FSBL is planning to open new branches. FSBL has already undertaken a massive branch expansion program that would allow FSBL to establish another 5more branches in key locations of the country. The program is now waiting for Bangladesh Bank clearance and approval. As a part of the branch expansion program, a partial list of some of the new upcoming branches are- Kawran Bazaar, Gulshan, Uttara. Narayangonj and Shlhet. The bank will introduce ATM service very soon. It will be the first bank that is going to provide ATM service at a large scale. General banking system of the FSBL provides different types of account facilities. Each account has different restriction and requirements. The depositor has to maintain a balance of Tk.1000 to earn the interest. Interest. Interest rate of this account is 8.25% fixed. Current Account and Saving Account are more of less same. The basic difference between a current account and a savings account is that current account does not calculate any interest. The current accounts are usually entrepreneurs, business organization, and companies’ etc. Account of Societies Clubs etc. Short-term deposit account can be opened with Tk.5,000 as balance. This account is operated and maintained like a current account. The rate of interest on this type of a/c is 5.25% and withdrawals from this type of a/c require a notice of seven days. Monthly Saving Scheme is as same as Fixed Deposit Receipt. In this scheme the client has to pay an amount fixed by the bank. Client has to pay the amount within the first ten days of the month. The least maturity time of this scheme is 5 year. A client cannot draw the money before the maturity period. After the attainment of this maturity period client will get an amount along with the interest. It is same as MSS. The basic difference between MSS and MBSS is here the depositor has to deposit at least Tk.25000 at a time. After 5 years the deposited amount will be matured. The depositor will get interest per month against his deposited amount. If the depositor draws his money before six month, then he will get no interest. The depositor can have loan against the deposited amount. He can have maximum 80% loan against the amount. But in this case he have to give 16% interest. The characteristic of the scheme can be understood from its name. It is as same as MBSS. The basic difference is that the depositor has to deposit an amount of at lest Tk.10000 thousand. The period of maturity is 6 year. After this period the depositor will get an amount, which is double of the amount that he has deposited. Here the depositor can also have loan up to 80% of the deposited amount and have to give interest of 16%. One can withdraw his money before maturity in argent cases. But in this case no interest will be provided to the depositor if he draws the money before six month. This scheme is the most profitable deposit for the clients. The person who dares the certificate is the owner of BCD. In this case the total interest will given at the commence period of the a/c opening. The interest rate is same as FDR for BCD. But 10% general tax on interest is included here. Cash department is in charge of taking all sort of cash transaction. Through this department cash is deposited in the name of FSBL and disbursed to the clients. In FSB the cash counter system is teller system is the system where any customer can deposit or withdraw money form one counter. In the Dilkusha branch, there are two cash counters and one Ready Cash Card counter. The head of this wing is the Head teller as already mentioned. Remittance transfers money in and out of the bank. The Dilkusha Branch makes remittances within and out side the country. The bank charges commission, in that process, it uses several instruments- Pay order, TT, DD and Account transfer. Pay order are the safest way of making payments, as they are drawn on the bank issuing them. So there is no scope of fraudulence or cheques bouncing. A pay order is issued only within the members of the Bangladesh Bank clearing house (Dhaka Metro). It can be issued in favor of a customer holding an account, by debiting his account and crediting bills payable account. Incase of a non-customer, cash equivalent of the payment plus pay order charges is received in cash and held in the daily suspense account until the payment is made through clearing. The account payees submit the pay order in their specific banks. The banks then send the pay order to the clearinghouse where the respecting issuing banks receive them. The issuing banks verify the pay orders, which are then send back to the respecting banks and payment made by debiting the bills payable account. Entries are made on the fund transfer system. Bank meets its own expenses through pay slips. For its day-to-day transaction bank has some expenses of its own. Bank uses pay slips for this purpose. DD is basically the same as pay orders, but it can be drawn on other branches of First Security Bank, Sonali Bank, Foreign agency account, Bangladesh Bank. A DD is drawn on the bank’s other branches when payment has to be made outside Dhaka. The bank has to have a branch over there and he payer should have an account with the bank. For example, a DD can be drawn on FSBL, Chittagong since they have existing branches over there. Telegraphic transfers can be both inward and outward, in local and foreign currency. All incoming Telexes are receiving in the telex room and test agreed. One copy of the Telex is kept in the file and other is worked on. Payments of incoming TT’s are made either by issuing DD’s or pay orders depending upon the requirement of the customers. a) If the purpose of the incoming remittance in foreign currency is not known, the customer is informed about the remittance, he then has to fill a C-form, mentioning the propose. b) In case of indenting or Agency Commission, there are certain charges that have to be deducted before payment is made. A 15% VAT is deducted in the case of Agency Commission and a 5% tax plus a 15% VAT is charged for the Indenting Commission. The tax amount is held in suspense account and the same is paid to Bangladesh Bank after 10 days. Three Years Shanchaypatra Interest in Half Yearly Rest. Five Years Shanchaypatra Interest in Quarterly Rest. These are internal fund transfers whereby both the debit and credit accounts are held with the bank. These entries are usually made ‘online’. Accounts section deals with the income and expenditure of the branch and stores each and every transaction of the bank. The accounts officers check all the paper works like bills, vouchers, cheques and deposit slips every day. They also prepare a supplementary sheet. Supplementary sheet is prepared for bank’s transaction security to avoid any fraud or misguidance. A Principal Officer is designated in Dilkusha Branch as the account officer in-charge of the department. Supplementary sheet consists of three heads such as General, Transaction with client’s income and expenditure. Inward clearing involves clearing Cheques/DD/PO, which come to the FSBL, Dilkusha branch through clearing louse for collection. The clearing officer receives then enters them in the inward logbook. Then sends them to the computer section for checking the account condition. If any problem is found with the instrument, it is marked as ‘dishonored’ mentioning the reason as mentioned above and he sends to the clearing officer. The clearing officer removes Cheques/DD from logbook and informs the matter to the Dilkusha branch. The cheques, PO, DD of different banks, which are submitted to FSBL, Dilkusha Branch, for collection, are known as out- Ward clearing cheques. The procedure is quite lengthy. The bank provide industrial loan to its client. It is sectioned for five years or above. In order to get loan from the bank clients are obligated to fulfill the certain requirements provided by the bank. Long-term loan above 5 years. The over draft is one kind of advance. In the case, the customer is allowed to overdraft his or her current account by drawing checks more that is available balance up to an agreed limited within a certain period of time but not exceeding more than one year, against acceptable securities. These facilities are granted to the customer only after reviewing the credit standing; financial ability and status of the customer as will as the purpose have been favorably established. The overdraft limit is based on “ADVANCED LINE OF CREDIT” available on a receiving basis and reviewing prior of expiration of the agreed of time between the bank and the customer. Overdraft against pledge of goods may be extended to the borrowers against pledge of taw materials or finished goods products as security. This is giver accordingly to credit and margin restriction imposed by Bangladesh Bank and FSBL head office time to time. Here the customer signs a dully-stamped letter of pledged by which the customer surrender the physical possession of the goods to the effective control of the bank. The owner ship of the goods remains with the borrower. The outstanding liabilities are adjusted out of the sales proceeds. Quality and quantity of the goods properly ascertained. The goods must be readily saleable and have as effective demand in the present market condition. The goods must not be perishable. It must store in proper warehouses to prevent form deterioration and risk of pilferage. The goods have to insured with bank mortgage clause. Security personnel are to be posted on the warehouse for safety of the goods. Authorized bank personnel are inspected goods or stock regularly. Stock card mist be displayed in the warehouse indication the quality, their value and price rate of the goods. The margin is fixed depending on the nature and type of security and the financial stability of the customer. The Bangladesh Bank regulations are of course kept in mind. FSBL retains a responsible margin and this is also to cover up any shortage, shrinkage and fluctuation of rate and fall in price etc. The drawing power indicates the ceiling of the limit up to which a customer can overdraw in his or her account. The drawing power is calculated in the amount arriver after deducting of the margin from the securities value either in cost price or market price which ever is lower. Under no circumstances, the advance will exceed the drawing power if the customer in the manner described above. FSBL prefers and peruses this type overdraft. Under this arrangement, credit facility is provided to the borrower on signing a letter of Hypothecated, creating a charge against the raw materials/ finished goods etc. hypothecated to the bank as primary security against the advance. In this case, both the ownership and physical possession of the goods remains with the bank and when called upon to do so. The bank acquires the right over the goods hypothecated. The clients need to be trust-worthy and reliable. The goods should be readily saleable and of course have constant demand in the market. The borrowers have had an absolute title of he goods. Goods must be insured with the bank mortgaged with a sum of 10% above the sanctioned limit. Same as the overdraft against pledges. Consumer credit scheme is sanctioned fir those pupils, who want to buy commodities like generators, computer, freeze, car (brand new), TV, and any kind of home appliances etc. they have to give a guarantee of manage a guarantor who will take the responsibilities of full payment. The interest rare of this scheme is 15% per year and the time of duration is maximum 2 years. Bank finances not mare than 75% to buy the product. Registration of the product will be in name of the bank. Withdrawals of the registration will be done after making all the installment of the product. Very often term financing for (a) Agriculture and (b) Others are also including here. # Commercial lending-when the customer is a other than industry. # Working capital-when the customer is an industry. Advances allowed to individual/firm against financial obligation (i.e. lien of FDR/PSP/BSP/Insurance policy, etc.) and against assignment of work order for executing of contractual works fall under this head. This advance is generally allowed for definite period and specific purpose i.e. it is not a continuous credit. It falls under the categories ‘Others’. Advances allowed for purchasing foreign currency for opening L/C for import of goods fall under this type of lending. This is also an advance for a temporary period, which is known as pre-import finance and fall under the category ‘Commercial Lending’. Payment made by the bank against lodgment of shipping document of goods imported through L/C fall under this type of head. It is an interim type of advance connected with import and is generally liquidated shortly against payments usually made by the party for retirement of the documents for release of import goods from the customs authority. It falls under the category ‘commercial lending’. Advances allowed for retirement of shipping document and release of goods imported through L/C taking effective control over the goods by the pledge in go down under banks lock and key fall under this type of advance. This is also temporary advance connected with import that is known post-import finance falls under the category ‘commercial lending’. Advances allowed for retirement of shipping documents and release of goods imported through L/C without effective control over goods delivered to the customers fall under this head. The goods are handed over the import under trust with the arrangement that sales proceed should be deposited to liquidate to liquidate the advances within a given period. This is also temporary advance connected with import that is known post-import finance and falls under the category ‘commercial lending’. Payment made through purchase of inland bills/cheques to meet urgent requirements of the customer’ falls under this type of credit facility. This temporary advance is adjustable from the proceed of bill/cheques purchase for collection. Its falls under the category ‘commercial lending’. Financial accommodation allowed to a party for export of goods falls under this head and is categorized as ‘Export Credit’. The advance must be liquidated out of export proceeds within 180 days. Advance allowed to a party against specific L/C firm contract for processing/packing of goods to be exported falls under this head and is categorized as ‘Packing Credit’. The advances must be adjusted from proceeds of the relevant export within 180 days. Payment made to party through purchase of foreign documentary bills fall under this head. This temporary advance is adjustable from the proceeds of the negotiable shipping/export documents. It falls under the category ‘Export Credit’. Payment made to a party through purchase of local documentary bills fall under this head. This temporary liability is adjustable from proceeds of the bill. This classification contains accounts where such irregularities have occurred but such where such irregularities are considered to be either ‘technicalities’ or temporary in nature. The main criteria for a sub-standard advance are that despite these ‘technical’ or temporary irregularities no loss is expected to arise. These accounts will require close supervision by management to insure that the situation does not deteriorate further. Provision @10% of the base is required for debts in this classification where base is the outstanding balance less interest kept in interest Suspense account less the value of eligible security. The bank authority sanctions loan against cheeks or bill of exchange etc. if the client needs money immediately but the receivable date of the securities requires to be delayed at the moment, client can loan from the bank by showing the securities. The margin of the loan depends on maturity of security. The exporter pays the payment of the imported goods on behalf of the importer through a bank guarantee. If the importer fails to make the fulfill payment at the moment the bank will remain liable to the exporter until and unless the importer pays the money of the imported goods. This type of guarantee also is needed to attend in any tender. The interest rate of this kind of guarantee is 15% quarterly. Unclassified: The loans, which are not classified. These loans are regular. Substandard: It is the preliminary stage of classification of loan. If the loan exceeds 6 to 9 month from the payment then it falls in this class. Doubtful: When a loan exceeds 9 to 12 month from payment time then it is doubtful. That is the bank is in doubt whether they could recover it or not. Bad or loss: Loan exceeds 12 month of payment ant the possibility of recovery is almost nil. The officers should follow-up regularly. Besides periodical inspection and telephone contact is also required. Surprise visit is fruitful in this regard. The division should prepare a quarterly sheet for loans and be careful that a loan can be adjusted before being classified. If a loan becomes classified then steps should be taken for recovery and de-classification. An ordinary citizen usually perceives “foreign exchange” as foreign money. The term foreign exchange is used in a broader sense. It can simply be defined as a ‘process of conversion of one currency into another’. The foreign exchange regulation act refers that foreign exchange means foreign currency and includes any instrument drawn accepted, made or issued under clause (13) of article 16 of the Bangladesh Bank order, 1972, all deposits, credits and balances payable in any foreign currency and any draft, travelers cheques, letter of credit and bill of exchange expressed or drawn in Bangladesh currency but payable in any foreign currency. Foreign exchange like foreign trade is a part of economic science. It deals with the means and methods by which rights to wealth in one country’s currency are converted into those of another country. By the same token, it covers the methods used for conversion, the forms in which such conversions take place and the causes that render these conversions necessary. Before enormous discussion about the foreign exchange, it is vital to know about the letter of credit (L/C). Letter of credit (L/C) is an agreement between and importer and the bank (issuing bank). The bank provides letter of credit in order to purchase goods from the exporter. The banks acts in the behalf of the clients to deal with the exporter and the clients make the payments after receiving the goods accordingly. Negotiation of document under L/C is the usual method of financing exporter at the post shipment stage. In this system, after the shipment of goods, the exporter presents the relative documents to the negotiating bank for registration. An exporter is required to submit the following documents for registration. Bill of exchange: The exporter generally issues it. Bill of lading: Bill of lading is the evidence of shipment. The shipment agent generally issues it but the captain of the ship also can issue it. Commercial/ Proforma invoice: It generally contains the buyers name and address, the sale name and address, details description of goods, unit and total amount. Packing list: It contains the packaging size, weight, number of product in each packet. Insurance coverage: It plays a vital role for the bank to reduce the risk of any lost of the bank. EXP form: exporter has to fill this form. Export is the process of selling goods and services to the other country. It has an immense contribution to generating income for the bank. In order to export of any goods or services to overseas, the exporter must have attested photocopies of the following documents with the up to date export registration certificate (ERC). If the bank authority satisfies with all the information provided by the exporter, steps are taken to smooth out the process of export regarding collection of money or opening back to back L/C. Back to back L/C is a letter if credit backed by the original L/C or the mother L/C to open a new L/C, the bank provides it to the exporter to import the raw materials from overseas in order to produce the exportable commodity for the importer. It encouragers the exporter to produce more exportable goods. In this case, the bank offers some additional facilities. In lime with the experience of developing countries imports payments of Bangladesh increased over the years. The imported items were mainly industrial raw materials, consumer goods, fertilizer machinery and old ships of scraping, recondition cars etc. the growth in import business had been previous year showing and increase of 20%. Efficient handling did the significant items of import and concerned efforts for building up of a potential clientele for the bank. Before making imports, the importer enters in to a purchase contract with foreign supplier. If the suppliers have local agent, the importers obtain an indent and pro-forma invoice. If the suppliers have no local agents in Bangladesh, the importers holding a valid import registration certificate (IRC) can import goods in to Bangladesh provide the goods are in the permissible list of item as per the Govt.’s import policy order in force. All importers in to Bangladesh are subject to opening of L/C. import transactions are concluded with the help of documentary letter of credit established by the importers bank in favor of supplied (Beneficiary) and advised through the agent bank located in the supplier’s country. a) Party application duly signed and scaled by the opener / authorized signatory. b) At least four copies of pro-forma invoice/ indent duly signed and sealed by the opener and beneficiary / indentor. Opener signature to be verified by the banker. c) L/C application form (to be provided by the bank) duly signed and scaled by the opener / authorized signatory. Guarantor signature required (if applicable/ mentioned in the proposal). The banker must verify the signature. d) LCA / IMP forms duly signed and scaled by the opener / authorized signatory. e) L/C opening proposal approved by the opener authority mentioning L/C details (not required if the L/C is opened with 100% margin). f) Beneficiary credit report (if the L/C is more than $8000 or BDT 500000 which ever is highest). g) Insurance cover note with money receipt in original. a) Relationship between the client and the banker. c) Feature of the goods. Foreign remittance is another important factor of the FSBL from where it earns a lot of foreign exchange every year. Remittance means to send or transfer money or money-worth from one place to another. In this case, the bank acts as the media to transfer or remit the money. Against the service it charges some commissions from the client. # Remittance through TT/DD etc. # Remittance due to export. # Remittance due to import. By issuing Travelers check and passport endorsement. *Return on Equity (ROE): This is the measurement that indicates the rate of return flowing to the bank’s stockholders. It approximates the rate of return the stockholders have received in return for their capital invested (i.e. placing their funds at risk in the hope of earning suitable profits). * Return On Assets (ROA): this is primarily an indicator of managerial efficiency; it indicates how capable the management of the bank has been in converting the institution assets (i.e. its total resources) into net earnings. * Net Interest margin: This measure indicates how large a spread between interests revenues and interest costs management has been able to achieve by close control over the bank’s earning assets and pursuit over the cheapest sources or funding. Here, a three years ratio analysis has been carried out in order to identify the trend of FSBL during their period 1999-2002. As the annual report of the year 2003 has not been prepared yet by the Bank analysis, I cannot interpret and analyze the ratios of that year. The analysis of current ratio indicates that it is in declining trend starting from 1.027 to 0.242. This is a negative symptom for the bank, which reveals that a bank has less current asset in hand to pay off its current liabilities. In 2002, current ratio was 0.242, which was far below the standard normal of 2:2. Therefore, this is an alarming trend for the bank. The profitability ratio analysis shows the ROE and the ROA of the bank. The ROE shows that it is in an increasing trend from a -4.0% to 16.3% in 2002. This indicates that the stockholders are having a higher rate of return for investing their capital or placing their funds at risk. The ROA also shows an increasing trend in the last there years starting from a -0.5% to 0.8%. This indicates a higher managerial efficiency and capability in converting the institution assets into net earnings. The Net interest Margin also shows an increasing trend starting from -0.01% in 1999 to 2.5% in 2002. This is a tremendous growth in the spread between interest revenues and interest costs of the bank. The Net Bank Operating Margin also shows an upward trend starting from -0.5% to 1.6% in 2002. This also shows managerial efficiency in achieving higher operating reveries and controlling operating costs for the bank. The Earnings per Share shows an upward trend starting from Tk-0.76/share to Tk3.45/share in 2002. This indicates that the stockholders are having higher earring sagest each share that they hold in the bank. Net Profit Margin for the bank shows a rapid growth for the last three years starting from a -83% in 1999 to 19.9% in 2002. This indicates the efficiency of the management in the effectiveness of expense management and service pricing policies. The Asset Utilization Ratio of the bank is also in an upward trend from 0.07% to 3.9% in 2002. The increase in the degree of asset utilization reflects better portfolio management policies (especially the mix and yield on the bank’s assets). 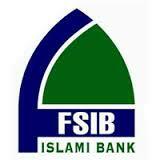 FSBL is newly commercial bank in banking sector but they builds strong reputation in short time. They provide extra ordinary service to their customer. The top management of the bank, the key strength for the FSBL has contributed heavily towards the growth and development of the bank. Strong network through out the country and provide quality of service to every level of customer. FSBL has been founded by a group of prominent entrepreneurs of the country. Installation and use of highly sophisticated, automated system that enables the bank to have on time communication with all branches reduces excessive paperwork and vanes time for valued customer transaction. Form the very begging FSBL tries to furnish their work surroundings with modern equipment and facilities. Tele banking gives the customer the opportunity to make inquiries and service request over the phone. The corporate culture of FSBL is very much interactive compare to our other local organization. Advertising and promotion is one of the weak point of FSBL. FSBL does not have any effective plan for aggressive marketing activities. Higher service charge in some areas of banking operation than that of nationalized banks discourages customers from opening or maintaining accounts with this bank. PC bank is not comprehensive banking software. It is desirable that a more comprehensive banking system should replace PC bank system. At the entry level and mid level officer’s experience considerable low remuneration packages that some other local banks. There is a very little practice for increasing motivation in the workers by the management. FSBL can pursue diversification strategy in expanding its current line of business. The management can consider options for starting merchant banking or diversity in to leasing and insurance. By expanding business portfolio, FSBL can shrink business risk. The credit facility offered by FSBL has attracted security and status conscious businessmen and well as service holders with higher income group. FSBL can evaluate the option of lunching ATM and Credit card system. FSBL should move towards the On-line banking operations. It is high time that they should go for this because some banks are already in to the On-line banking operation. Enter new markets or segments. Expand product line to meet broader range of customer need. Default culture is very much familiar in our country. For a bank, it is very harmful. As FSBL is new, it has not faced it seriously yet. However as the bank grows older it might become a big problem. The Central Bank exercises strict control over all banking activities in local banks like FSBL. Some times the restriction impose barrier in the normal operations and policies of the bank. Rival bank easily copy the product offering of FSBL. There fore the bank is in continuous of product innovation to gain temporary advantage over its Competitors. Sometime political loans are the threat for this banking service. Bank need to increase its quality of customer service. Branch should be innovative and diversified in its service. Need modern technology, without using modern technology no bank can even think of remaining in the business in near future. So the bank must decide right now how it equip its branches with modern technology. Information system should be developing. Bank should be using internet for local and international correspondence. Human resource is another sector for the branch to be developed urgently. Human resources, in the branch are not equipped with adequate knowledge. Bank can arrange training program for these lacking. Chain of doing job in the branch should be made clear. In the branch chain of completing a work is not clearly, one employee sometimes performs same duty and in another time different employee performs it. So no employee can be held liable for defective work or for delay in work. Need to speed up processing of loan application. They’re being no restriction customers clients are found to move hither and thither inside the bank premises. This hinders the smooth functioning and amount to security of the bank office should more careful about this. Computer division need to be up date and extensive for the greater welfare of the branch. Bank should be innovative and diversified in its services. During the three months internship program at Dilkusha branch, almost all the desks have been observed mire or less. Gaining knowledge of practical banking and to compare this practical knowledge with theoretical knowledge. Though all departments and sections are covered in the internship program, it is not possible to go to the dept of each activities of branch because of time limitation. So, objective of this internship program have not been fulfilled with complete satisfaction. However, highest effort has been given to achieve the objective the internship program. During the internship, it is found that the branch provides all the conventional banking services as well as some specialized financing activities to the economy. Essential of Managerial Finance: Weston & Brigham. Strategic Management: A. Thompson, J, and A, J, Strickland. Fundamental Financial Management: Eugene. F. Brigham. Previous survey report of FSBL.